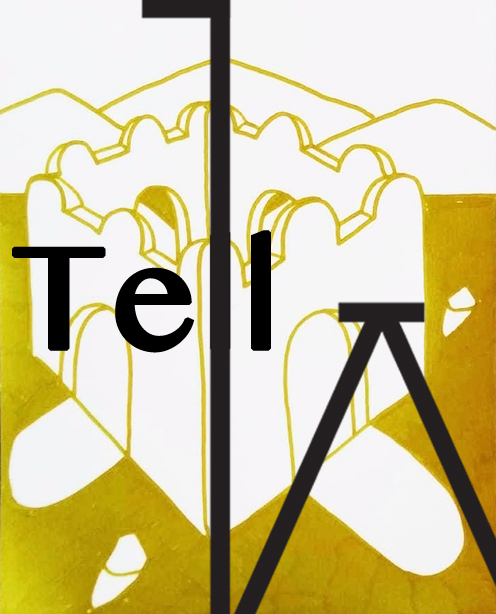 HEWING WITTARE will present ‘Tell’ a hub for local storytelling in a first floor ex-Warner flat, E17 which will provide a space where stories are transactional. This exhibition will open during the E17 Art Trail from Thur 13th until Sunday 16th June, and develop over the period leading up to Art Night, Saturday 22 June. Stories will be gathered from willing locals in the run up to the exhibition and a mapped self-guided tour will allow the audience to walk the route that link the stories. To start the festivities of the we invite you to tell us something that has happened in Walthamstow that puts it on the map. If you have a tale to tell of the local area and you wish it to be part of a creative project then please contact us. We would love to hear from you no matter how small or large, old or new, funny or sad your tale is. To Help Tease Out Your Stories - we have devised some leading questions which might just spark a memory. Remember there is no min or max length of stories, we welcome any tale that puts itself on the map. Did you fall in love in Walthamstow or gone on a terrible date? Have you helped someone in need or found something curious on the floor? Have you seen something you could never forget in Walthamstow? What’s your favourite or least favourite part of Walthamstow and why do you love or hate that area so much? Are you born & bred in Walthamstow, how has the area changed? Have you had the best day out with some wonderful people and would like to put that day on the map? Or has someone important in your life done something that simply must be added to our map? Do you feel like Walthamstow is your home? Perhaps you have seen a giant hamster roaming the high street late at night looking for something to eat? Or maybe you’ve seen something that properly spooked you and you’ve always wondered if anyone else saw it? Do you belong to a community in Walthamstow, tell us something that puts it on the map? Have you got a story of the area that your Grandparents told you, but you’ve never been sure if it was true? Is there a myth or legend of Walthamstow that you heard from your next door neighbour that needs to be on the map? Are there any buildings that are significant to you in E17 or are there any buildings that have gone that you miss? Your stories will be part of an exhibition and a mapped self-guided tour during the E17 Art Trail June 2019 created by Walthamstow artists Emily Vanns and Georgie White, hosted by HEWING WITTARE. The exhibition will take place within a domestic dwelling which will be transformed into a vessel where artworks and storytelling create a space of idea exchange. Stepping through a portal the audience will be immersed into an environment that will act as the locus of these stories. A storytelling performance will establish the tone of the exhibition along with a story exchange workshop that is provided at set times. Guests will then be able to collect a map which allows them to decide which of the varied stories they wish to visit. The path taken by the individual, at their own pace will reveal unusual stories of the area gathered from locals. Vanns’ work will transform the space from the residential to a space of ‘otherness’ where exchange and sharing can take place. Her imagery will interact with the gathered stories through psychogeographic mapping and large pieces painted directly on to the walls of the space. She will explore the changing and shifting space in response to the conversation, through accumulation and arranging of works. White’s practice is focused on narrative through photographic dimensions. For this exhibition she will create installations that ask the audience to ‘peer in’ and ‘look through’ enabling the story to be experienced with the body and giving weight to the everyday photograph. Transferring 2D images into 3D objects White will give the works an active presence in the space, enabling them to speak for themselves. Both artists will invite audiences to step across the threshold to spend time and interact with the site specific works giving a unique experience that reflects the story's already told whilst developing further as more stories. If you would like to provide us with a story of the area then please email your stories to hewingwittare@gmail.com by Sunday 14 April 2019 (but the sooner the better) and remember to include the location that your story took place.